The Paper Cutters: Little Red Wagon Challenge #356- Happy Birthday! Little Red Wagon Challenge #356- Happy Birthday! Hello! It's my week to host the challenge at Little Red Wagon. I have chosen a Birthday theme. I hope you can join us and post your Birthday project over on the Little Red Wagon blog. I will post my top pics next Tuesday. Can't wait to see all the Happy Birthday goodies!! 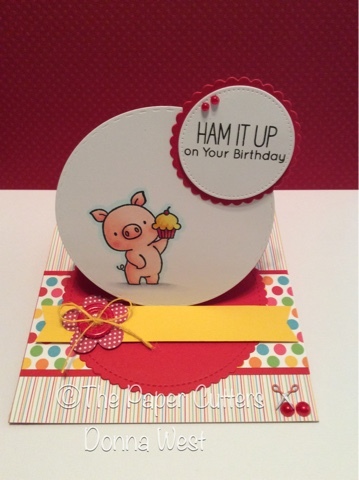 I used one of the My Favorite Things little piggy stamps for my Birthday easel card. I love these type of cards because they can lay flat in an envelope for mailing and it stands up for viewing when it's on display. Here is a link to connect you to the challenge at Little Red Wagon. 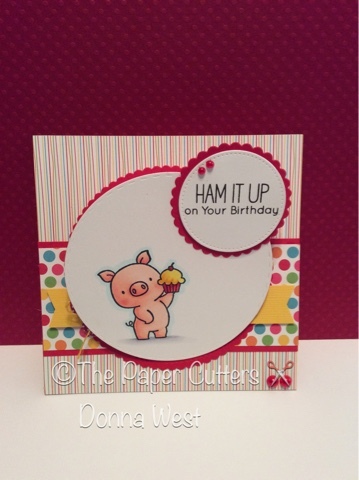 That's such a cute piggy on your easel card! Adorable creation! 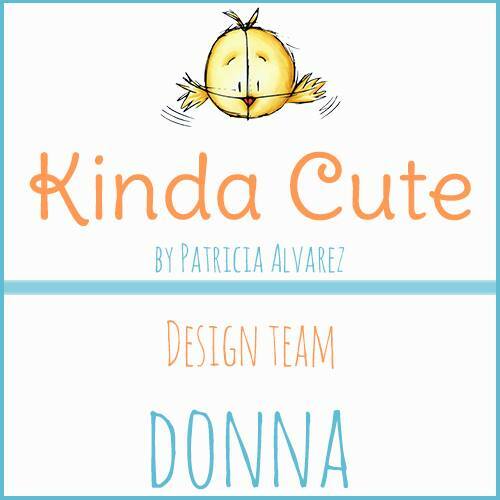 Oooh, this is fantastic, Donna! I've never seen an easel quite like this...so cool! I just love the design and sentiment too. I love this little pig and he's on such a fun easel! This set is on my wish list for sure now! Great card, Donna! I haven't made an easel card in ages but they certainly are great for displaying things - like your fun little pig! He's perfect on the front of your easel card!